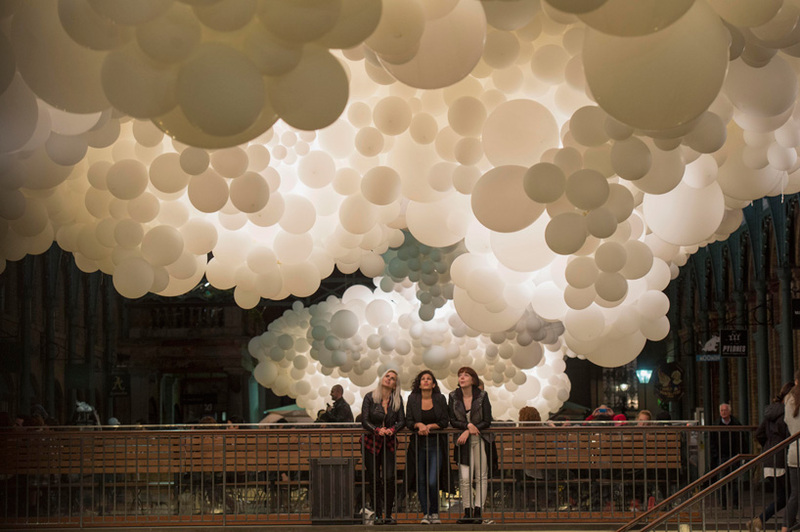 Charles Pétillon, French fashion designer and installation artist, has brought his balloon art to the public for the very first time with his new cloud-themed installation piece! 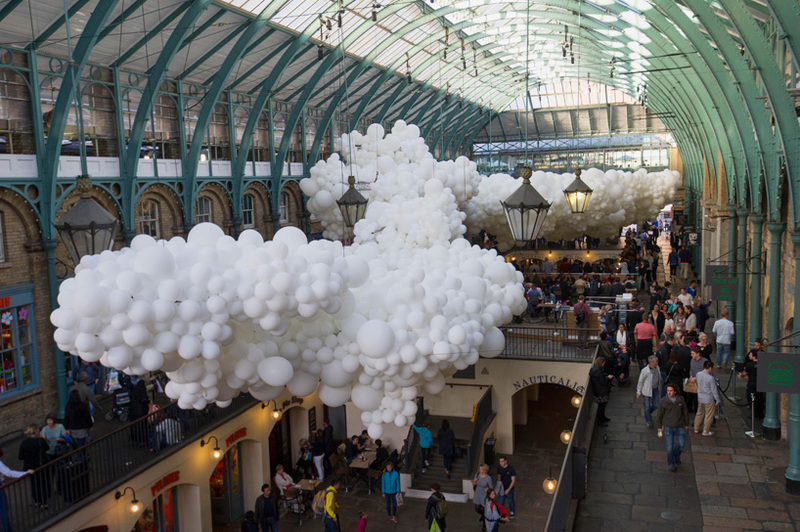 Titled “Heartbeat”, this giant expanse of white balloons has taken over the Covent Garden market building in London, England, and includes over 100,000 individual balloons! These balloons come together to form a weaving cloud form that hands over visitors’ heads as they shop and relax, and are illuminated from the inside to create a vivid display for spectators. The piece itself reaches over 54 meters, or 177 feet, in length, and will be on display until September 27th. Alongside the installation of “Heartbeat”, Pétillon also has a separate pop-up gallery near the Covent Garden which showcases his other work. These displays are set up in anticipation for the London Design Festival, which will open from September 19th to the 27th, making London a prime spot to see some awesome art in the coming months!